LAUNCHING 2019! We are open for submissions. Please read the below carefully. A bespoke publishing house - QuickShift Publishing – is owned by Sarah Bullen and Kate Emmerson. Sarah has worked in publishing for 15 years and was the publisher at Gas Publishing – a magazine stable behind some iconic custom magazines. She has worked as a book coach and agent since 2010. Kate is a multi-published author and a pro at digital marketing and the networking domain. We started this small, bespoke publishing house to publish our own books (we have six between us) and it has grown into a small and viable publishing house. Through our mentorships, bootcamps and international retreats, we have helped so many writers publish their books. We also know that not every book lands up with a traditional publishing deal. Sarah is a book agent, so she instinctively knows which books will get a publishing deal with a traditional publisher. But then there are all the other books – and yours may be one of those. These are the books that are not going to find a traditional publishing deal, and the author has to invest in their book to get it out into the world. Many of our authors finally find their way to get self-published or they navigate the tricky terrain of manuscript submissions and finally get a hybrid publisher. An increasing number of authors chose digital/online only. Many of our authors are speakers or coaches who want to sell their own books or courses and do not want a publishing deal. They know “back of the room sales” will yield a better profit. But where do most books end up? In that 13th folder on your desktop. We help you publish your book. We are not masquerading as a traditional publisher (think Random House that is going to foot ALL the costs of your book). That means we are not able to take the financial risk on your book. Practically that means you will pay for the production/printing costs of your book and invest in it and we will take the time and share the risk in making your book a success. Why must you pay to get your book out? That’s just the deal in modern publishing. The big publishing house deals are there… however, they are not always for every author. We are financing a few authors, and we will advise you if your book meets those criteria. Our five-year plan is to establish a full publishing house by 2024. We are just starting out in the publishing business, and we can’t (yet) take a risk on you. But here’s what we are: we are experts in what makes a book work and how to get a book published. We would like to say that we now have a great deal of expertise in this matter. We have an extensive and passionate team of top professional editors, proofreaders, designers, and publicists to handle every aspect of your book. So finally we can offer writers a solution to get your book out there as a professionally finished product without the hassles of trying to self publish. We have both invested in our own books. We know what works. So we will charge you a quoted full fee to cover the professional production costs. Some quotes may INCLUDE X number of printed copies; otherwise, a separate quote will be generated for you. Any additional copies of the book you will buy through us with a first order / minimum re-order of 100 books. We will take 30% of your digital sales, and this is really where we can make your book fly in today’s digital age. However, we will NOT charge you additional fees for the digital publishing package and conversion (after all the initial production costs of editing, proofreading, etc.). Who is this publishing option for? You are ready to publish your book. You have a high-quality final version (not your first draft) of your book. You want to print a book faster and with more creative control and input than you have with traditional publishers. You want your book finished and printed for your nearest and dearest. You want a professionally published book to sell to your clients – think speakers, coaches, facilitators, online professionals. We are offering a complete hybrid publishing package. We only work with the top industry professionals – editors, proof-readers designers, graphic/layout artists that have been hand-picked by Sarah and Kate. As a bespoke publishing company, we will only publish a select number of books a year and need to believe that your book will sell OR you have an important story to share. Many of our 2019-2020 authors are writers we have worked with already, but we are open to taking on a limited number of new authors. If you want to consider our hybrid publishing option, please send a Query Letter and Full Synopsis (Proposal) of your book first. 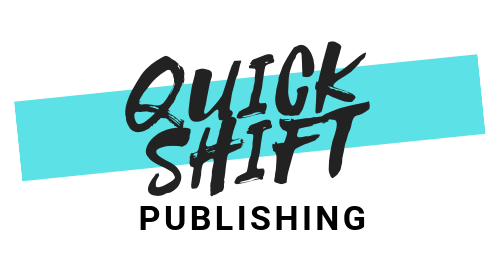 QUICK SHIFT PUBLISHING will review your book submission. We will ask for your full manuscript if it meets our criteria. On approval, we will send you a quote. Upon acceptance, 50% of fees are payable upfront and balance payable before final copies of books delivered /uploaded to the digital space. The author retains full copyright of their work. Authors buy all future copies of their book at a fixed and quoted price. We offer you the full package where you send us your manuscript, and we manage and produce your entire book. We work with a load of talented designers, editors, and professionals who will make your book the best it can be. We hate a poorly designed book as much as you do and we know that good covers sell books. Also, one mistake can cost you readers, wasted time and money. We have an entire team that will take your book through all the steps to a published book. It may be published on a digital platform only, or you may want a printed version. You can also opt for POD (Print on Demand), which is excellent for international sales. This cost quoted usually excludes printing of book costs (unless otherwise stipulated in your quote) if you are printing physical copies of the book. 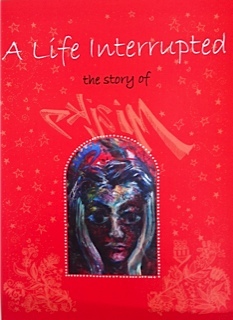 This will be quoted separately based delivery location, size of book and number of copies ordered. An initial online (Zoom or Skype) strategy meeting with Kate, Sarah, and the Production Manager. A meeting with your editor. For photographic books this will include the layout designer. A dedicated production manager - who will be your primary go-to contact who liaisons with everyone involved to ensure a smooth and timeous process and all deadlines are met. A top-level editor to improve your book. We only work with the best, and we expect the editor to make your book its best version. A graphic designer for your cover. A layout artist or typesetter (depending on book genre). All files ready-made for printing/POD/Digital Distribution. An initial order of 100 printed copies of your book delivered to ONE address (note: this depends on your specific quote). Setting up and managing your author account on the recommended digital publishing platform. Getting an ISBN and barcode for sales. Setting up an Amazon/Goodreads and Author Central/Lulu account for your digital sales. OPTIONAL EXTRAS TO BE DISCUSSED: Social Media, Publicity and Book Launches. Distribution deals with bookstores. All South African authors will also have access to sell their books on our website for instant online orders of printed copies. This means you do NOT have to have your own online sales set up! You, as the author, will have to make yourself available and be involved in all levels of approval throughout this process. HOW DOES PUBLISHING PRACTICALLY WORK? All books benefit hugely from a really good editor – depending on your book this could be a structural OR a copy editor. Editing is the process of reviewing and correcting your book material to improve accuracy, readability, flow, pace, and style. An editor will look at your book overall, make changes, suggest new chapter headings, fill in blanks or inconsistencies, point out and fix problems, check legalities or advise what to check. Although it is not the same, the copy editor will also proofread your book - correcting grammatical errors, style errors, and spelling. Step 2: A memorable front cover. For an e-book a front cover will suffice, but for a printed book you will also need a back cover and a spine. We match a designer to your genre. Our chosen designer will discuss your ideas with you and give you two options with room for revisions and changes before you settle on a design. Step 3: Typeset correctly for print. This process takes around a week. Printers require specific files for the text of the book. If you have images or photos, this process takes longer. An e-book does not require typesetting; it requires “formatting.” However, if you want to also use the Print On Demand (POD) that some e-publishers like Amazon offer, then you do need to take this step. Your book ALWAYS needs professional proofreading over and above your set of eyes. It is essential to make sure any book is error-free and in the best possible condition before you send it out. We will hand it to a professional proofreader before you do the final once-over and sign off. It needs an ISBN and barcode which we will apply for on your behalf. If you have a book that you feel is ready for us, please email us a Query Letter and Full Synopsis/Proposal of your book first. Please include your current book-length (word count), images/illustrations.